Australia like many western countries has become one of the most surveilled countries in the world and because of this, a VPN is now essential. 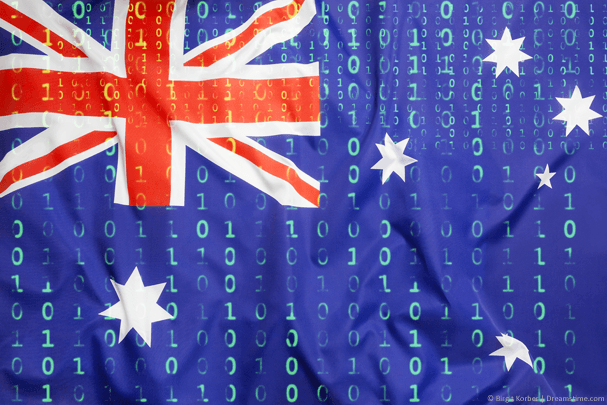 The need for a VPN service for use in Australia is not even a question anymore. But which is the Best VPN for Australia? More importantly, how do you even begin to weed out the bad VPN services from the good ones? Without a doubt, IPVanish is our current favourite VPN service for use in Australia but it’s always good to check out the competition. In this guide we’re taking a look at the Top 5 VPN services for Australia 2018. We’ve done the hard work so you don’t have to. VPN services aren’t just a one trick pony either. They’ll help you protect your privacy, access more TV content such as American Netflix, download torrents without worrying and a whole lot more. All that’s left for you to do, is choose one. IPVanish is our favourite VPN service for Australia at the moment and that’s not only because they have servers in Sydney and Melbourne. In our speed tests and everyday usage we found the service to be ever so slightly faster than the competition. With apps for both computers and mobile devices we had no trouble using the service at home with TPG and Optus or while mobile with Vodafone. We really like the fact IPVanish have a dedicated Amazon FireTV app which lets you protect your viewing habits and works great with Kodi installed. Strong 256-bit encryption is in operation which will keep your connection secure from pesky hackers and others who want to snoop on what you’re doing online. On top of that Torrent and P2P access is acceptable so you can download freely without worry. In terms of server locations, ExpressVPN is one of the biggest VPN services in the world. They currently boast VPN connection points in more than 94 countries made up of a mix of physical and virtual VPN locations. Australia is massively well resourced with servers in Sydney, Melbourne, Brisbane and Perth offering more locations in Australia than nearly any other VPN service. All the Australian VPN servers are physical servers and with such good coverage the only reason they didn’t take our number 1 spot is that although they’re fast, they’re just not quite as fast as IPVanish. A huge range of apps is available on the service from Windows to Mac, Android and iOS and even apps for Linux, Amazon Fire TV and routers. If that wasn’t enough then there’s a massive 30-day money back guarantee too. 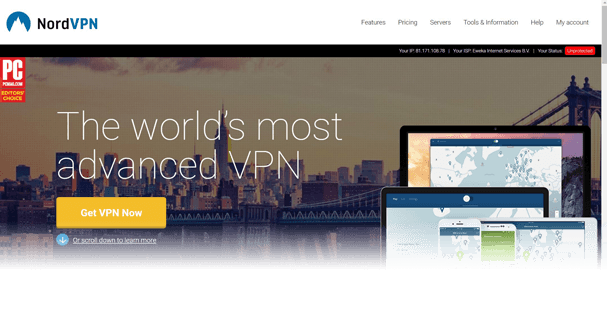 NordVPN has become one of the biggest VPN providers in recent years due to the quality of their service and for Australia they make a great choice. They also work great for American Netflix and services like the UK’s BBC iPlayer. There are specific servers for P2P in Australia which is great if you enjoy torrenting and there are a whole host of servers in nearby countries such as New Zealand and throughout Asia. Top-end 256-bit encryption is used when connecting with OpenVPN and there are a whole host of double-hop VPN servers that pass your data through not just one VPN server but two, further protecting your privacy. If you’re a privacy buff then you’ll appreciate NordVPN being registered off-shore in Panama which has no data-retention laws allowing you to hop outside the Australia data-retention requirements. CyberGhost VPN offers servers in Australia although they are limited to Sydney only. This will be suitable for the east coast but you may want to consider one of the earlier providers if you live in Perth. We especially like the fact the service is incredibly easy to use. Just click on your purpose for using a VPN and the software and apps choose the best server for your needs, no messing about. You can of course select specific servers and customise your needs more but if you’re a new user you’ll appreciate the simplistic one-click connection. The monthly plan is a little expensive but once you subscribe for a year or more then you’ll find some of the cheapest prices in the industry. You also don’t need to worry because there’s a 30-day money back guarantee too. For great Australian coverage it’s worth checking VyprVPN, they’re only beaten by ExpressVPN. Aussie servers are available in Sydney, Melbourne and Perth which is great if you live on the west coast as it’s often under-supported by other providers. Nearby there are VPN servers in New Zealand and the Marshall Islands and a whole host across Asia. We really like the fact there’s a completely free 3-day trial of the full service available. You’ll need to pop in some payment details to take advantage of it and remember to cancel if you don’t want to keep it but it’s a unique offering. The software and apps for Windows, Mac, Android and iOS are incredibly easy to use so if you’re a new user you’ll have no trouble getting connected and secure. Downloading copyright material is a big no-no on the service. You will get notices forwarded to you with the possibility of your account be suspended without refund so if you’re into downloading torrents you’ll need to choose one of the earlier providers. Choosing a VPN for any country can be difficult but due to the sheer physical size of Australia choosing a VPN for use there can be a minefield. There are plenty of good VPN services but unfortunately there are more bad ones. What’s worse is not all are suitable for use in Australia due to a lack of support. You should first consider Australian VPN coverage. Many VPN services have no servers in Australia and should be avoided. The five above all cover mostly Sydney and Melbourne but some such as ExpressVPN also cover Perth and Brisbane on top. If you’re a torrent user then you’ll want to stick with providers like IPVanish or NordVPN that allow P2P to be used on the service and don’t retain logs of what you do or forward copyright notices. It’s also important to consider a VPN service with good encryption that will protect your privacy. For this reason you should avoid free VPN services and use one of the five listed above who will all protect you from Australian data-retention laws allowing you to surf the internet privately. Australia passed some of the most invasive data-retention laws in the western-world which came into full effect at the start of 2017. A whole host of data is now recorded about your usage of the internet and stored for up to 2 years as part of the requirements. A VPN can help you avoid such data-retention by passing your internet usage outside of Australia in an encrypted manner. This stops any records of what websites you’re accessing or who you’re talking to be recorded by your ISP. All they’ll see is that you’re making an encrypted connection outside of the country but not the content of what you’re doing. For this reason using a VPN in Australia is now essential if you care about your privacy. More than ever we’re using mobile devices relying less on traditional desktops or laptops. It’s not uncommon for people to use only tablets and mobiles now so it’s as important as ever to protect them just as you would your desktop or laptop device. The five recommended providers above all offer apps for the most popular mobile devices running Android and iOS. The good news is you can install the apps on as many devices as you wish and with the five recommended providers above use them on between 3 and 5 devices at the same time. So not only can you protect your mobile devices but you’ll also be able to protect your traditional desktops and laptops too. Australia has now had Netflix access for a couple of years so a VPN is no longer needed just to access the service. Unfortunately though, Australia’s Netflix catalogue is tiny in comparison to other countries out there. The number one Netflix service in terms of movies and TV shows is the United States. With a VPN service you can use your Australian Netflix account and log into the American Netflix site to gain access to a much bigger range of content. Not all VPN services work with American Netflix but NordVPN has been tried and tested by us and works well from Australia for accessing the American Netflix website. Australia like most western countries blocks access to a range of service such as torrenting and other P2P services. A VPN will allow you to access an open and restriction free internet. Some VPN providers such as VyprVPN aren’t suitable for use when torrenting in Australia but others such as IPVanish and NordVPN make excellent choices. Not only do they store no logs of what you do while connected they also actively promote the fact that torrent use is allowable. If you’re a downloader and you want to protect your torrent habits in Australia then a VPN service listed above is definitely the way to go. Australia has some of the most invasive privacy laws in the world which makes VPN use critical in the country. There are now a whole host of suitable VPN services that cover all the major locations across Australia. Above we’ve rounded up our Top 5 choices and no matter what your reason for wanting a VPN they’ll be suitable for a variety of needs. From protecting your privacy, allowing you to access P2P and torrents all the way through to unblocking geo-restricted content such as BBC iPlayer or American Netflix. A VPN is the answer to many of these needs. We strongly recommend using IPVanish because in our tests carried out in Sydney we found them to offer the best all round VPN service for use in Australia. However, all five recommended above work well. All you need to do is choose one and sign-up.